Facebook officials struggled on Wednesday to explain why it permits InfoWars, a media organization that is one of the world's leading purveyors of conspiracy theories, to have a page on its platform. The company's failure to produce a satisfactory answer on the matter came at an event Facebook organized in its Manhattan offices where the company aimed to tout its commitment to combating fake news and misinformation. After a short presentation showcasing Facebook's efforts to fight misinformation, John Hegeman, the head of Facebook's News Feed, and Sara Su, a Facebook product specialist for News Feed, took questions from reporters. When asked by this reporter how the company could claim it was serious about tackling the problem of misinformation online while simultaneously allowing InfoWars to maintain a page with nearly one million followers on its website, Hegeman said that the company does not "take down false news." "I guess just for being false that doesn't violate the community standards," Hegeman said, explaining that InfoWars has "not violated something that would result in them being taken down." Hegeman added, "I think part of the fundamental thing here is that we created Facebook to be a place where different people can have a voice. And different publishers have very different points of view." While publishers may certainly have a different point of view, InfoWars is no ordinary publisher, and the content it produces does not just offer "different points of view." 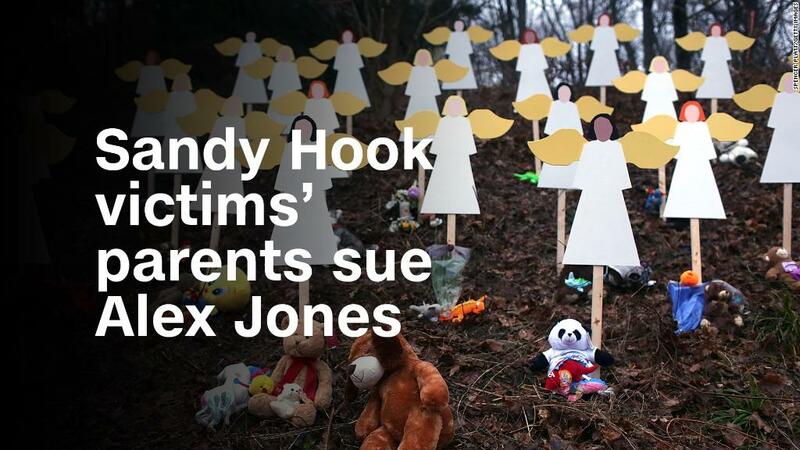 The media organization is notorious for spreading demonstrably false information and conspiracy theories on a host of issues, including suggesting that the Sandy Hook massacre was a hoax staged by child actors. Earlier this year, the outlet smeared student survivors of the Parkland shooting with baseless attacks, portraying them in one video as actors. Even on Wednesday, before and after Facebook defended its decision to allow InfoWars to operate on its website, InfoWars used the social media platform to spread baseless conspiracy theories. In one video posted to Facebook, InfoWars claimed billionaire George Soros wanted to "seize US voting machines." In another post, InfoWars, which has suggested that the September 11 terrorist attacks were an inside job, asked, "Will Trump expose the truth behind 9/11?" Pressed for more answers on its position on InfoWars, Su said at the event that Facebook has thus far chosen to focus on tackling posts on its platform that can be proven beyond a doubt to be demonstrably false. "There's a ton of stuff -- conspiracy theories, misleading claims, cherry picking -- that we know can be really problematic and it bugs me too," Su said. "But we need to figure out a way to really define that in a clear way, and then figure out what our policy and our product positions are about that." Emailed for any additional comment after the event, Facebook spokeswoman Lauren Svensson said questions about InfoWars hit "on a very real tension" at the social media company. "We work hard to find the right balance between encouraging free expression and promoting a safe and authentic community, and we believe that down-ranking inauthentic content strikes that balance," she said. "In other words, we allow people to post it as a form of expression, but we're not going to show it at the top of News Feed." Svensson added, "That said: while sharing fake news doesn't violate our Community Standards set of policies, we do have strategies in place to deal with actors who repeatedly share false news. If content from a Page or domain is repeatedly given a 'false' rating from our third-party fact-checkers ... we remove their monetization and advertising privileges to cut off financial incentives, and dramatically reduce the distribution of all of their Page-level or domain-level content on Facebook." It should be noted that Facebook has taken action against pages that have spread false news in the past. In October 2017, when CNN notified Facebook that two pages had shared a debunked story about a Seattle Seahawks player, a spokesperson for Facebook told CNN it had removed the pages for violating its policies. The spokesperson at the time did not say which policies had been violated, but added, "All posts that have been re-shared from the Pages we unpublished will also be removed (as a result of the Page being taken down)." In recent months, InfoWars has been drawn into the spotlight. For years, the outlet operated in the dark corners of the Internet, spreading conspiracy theories without facing much scrutiny. But as tech giants now grapple with how to prevent their platforms from being used to spread fake news and false information, InfoWars has found itself under pressure. Earlier this year, YouTube gave the outlet at least one formal strike against its largest account, warning that if it receives three strikes the social video company will ban it from its platform.